One of the UK’s finest multi-instrumentalists, has been named Musician of the Year (for 2010) in the 2011 Spiral Awards (organised by the music website, Spiral Earth). "one of English Folk Music's most revered exponents "
Phil Beer, one of English Folk Music's most revered exponents (and one half of the duo Show of Hands with singer-songwriter Steve Knightley), has been given the award after thousands of people voted for the Devon musician, giving him a resounding win in the category. With a convincing 42% of the vote Phil took the title which was also hotly contested by top performers such as Sam Sweeney, Johnny Kalsi, Andy Cutting and Aidan O’Rourke. Phil is one of the most popular ambassadors for acoustic roots music and was also nominated for the Musician of the Year title in the 2009 BBC Radio 2 Folk Awards. . A dazzling instrumentalist, he is perhaps best known as a top flight fiddler and often plays in the all-star line-up, Feast of Fiddles. But his skills don’t stop there – he also plays slide, Spanish and tenor guitar, mandocello, viola, mandolin and South American cuatro, not to mention contributing rich vocals. 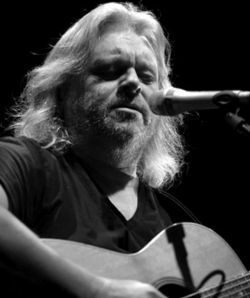 Besides his well known association with Show of Hand, he also has his own outfit - The Phil Beer Band - and tours and records solo. He played his first gig at 14 and started working as a duo with Paul Downes in 1974. He was then in the Arizona Smoke Revue and a key member of Johnny Coppin’s band. His impressive track record also includes touring with Mike Oldfield and being a member of the feted Albion Band from 1984-1991. Show of Hands became a full-time partnership in the early 90s – a band that has gone on to sell out the Royal Albert Hall three times and who were voted Best Live Act, by the public, at the 2004 Folk Awards and Best Duo in the 2010 Awards, at which Steve Knightley also won “Best Original Song”. Phil famously guested on the Rolling Stones 'Steel Wheels' album and Steve Harley’s 'Poetic Justice' and in 2009 was delighted to appear with legendary American band Little Feat. A gifted composer, Phil has written many numbers including the stunning instrumental "The Falmouth Packe"t for SoH’s studio album 'Witness'. As a solo artist he released 'Rhythm Methodist' in 2004 – a double album of songs and instrumentals - while his enviable versatility is shown in the Hard Works compilation of two earlier albums and a five disc boxed set of archive, new and live music and video. Phil is also in demand as a producer, co-producing (with Steve Knightley) Jez Lowe’s Jack Common’s Anthem, among others. In 2009 he formed his own label, Chudleigh Roots, producing Jackie Oates’s highly acclaimed second album, The Violet Hour. The same year he took time out to achieve a lifetime dream of crewing in the famous Tall Ships Race, on the 74 foot Bristol built wooden cutter Pegasus which crossed the finishing line in an impressive second place in its class, after a voyage of 4,500 nautical miles and an adventure which took in 12 countries. Phil, who has also produced albums for Isambarde and Tom Palmer, is currently on a solo UK tour and also has some forthcoming dates with Show of Hands’ regular guest Miranda Sykes and other performers. He will be back on the road with Show of Hands in March for a spring concert tour and will take part in the opening two sold-out Feast of Fiddles 18th birthday tour shows at Nettlebed, Oxfordshire, in April. Later that month Show of Hands headline the revived Bristol Folk Festival (April 30).